Put PRWeb on your site PZR Now Offering Zoning Compliance Reports in Orlando, FL The Planning and Zoning Resource Corporation now provides zoning regulation information for Orlando, FL. Zoning rules and regulations are dependent on the city and in some cases incorporate language to protect the maintenance of the culture and architecture of the city as it grows. The Planning and Zoning Resource Corporation helps commercial clients to navigate through the complex zoning laws to ensure that projects will move forward in a timely manner and the property use will be in accordance with zoning laws. Orlando, FL (PRWEB) December 27, 2013 The Planning and Zoning Resource Corporation now provides specific information and zoning regulations for Orlando, FL. Zoning rules and regulations are dependent on the city and in some cases incorporate language to protect the maintenance of the culture and architecture of the city as it grows. The City of Orlando states that: “Planning [and Zoning] is the organization of all elements of an urban environment. It takes various aspects of a city or town and its citizens into consideration by committing to: mix land uses, emphasize existing community assets, create a range of housing opportunities and choices, foster “walkable” close-knit neighborhoods, promote distinctive, attractive neighborhoods and business districts with a strong sense of place, including the rehabilitation and re-use of historical buildings.” Additionally, the City helps in planning to: “preserve open space, natural beauty, and critical environmental areas, strengthen and encourage growth in existing neighborhoods and districts, providing a variety of transportation choices, make development decisions predictable, fair, and cost-effective, and encourage citizen and stakeholder participation in development decisions.” Orlando is consistent among many cities in that municipalities are divided into districts with regards regulations standards for: the height and bulk of the buildings and other structures, the area of a lot which may be occupied and the size of required open space, the density of the population, the use of buildings for trade, industry, residences, or other purposes, and the minimum setbacks and yard requirements for structure and uses. The City of Orlando requires that owners submit a permit application before the use changes or construction commences on a property. Zoning can become complex because of the changes and updates to regulations. No medical exam life insurance plans are also available only to cancer survivors. Cancer is considered a high risk medical condition and agencies are not willing to risk insuring cancer patients. This does not mean that former cancer patients will be able to get life coverage easily. A traditional policy requires many medical examinations and applicants have to provide a lot of medical reports that show a negative evolution of the disease. No medical exam life insurance can help former cancer patients get life coverage faster and easier. As these plans do not ask for medical examinations, applicants can get a policy in less than 24 hours. The life coverage may be limited, and the premiums cost more, but applying for this type of coverage is a lot more comfortable and convenient. “Former cancer patients can get life insurance through a no medical exam life insurance plan, fast and easy at affordable rates!” said Russell Rabichev, Marketing Director of Internet Marketing Company. 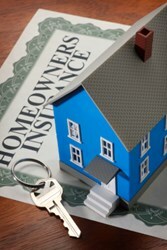 Online Insurance Marketplace is an online provider of life, home, health, and auto insurance quotes. RAM is a valuable partner and we look forward to growing our understanding of the application and building our relationship.” “Our work with Community Care is exciting and once again demonstrates the power and flexibility of HEALTHsuite Mercato to accommodate the exact needs of our clients,” said Christopher P. Minton, Executive Vice President of RAM Technologies. “We are pleased to have Community Care as a partner and member of RAM’s expanding family of clients.” HEALTHsuite Mercato is an enterprise application with fully integrated functionality to simplify the administration of Medicare, Medicaid, Dual Eligible and commercial offerings. Functions include enrollment and eligibility processing, benefit administration, provider contracting and reimbursement, provider credentialing, utilization and medical management, care management, claim administration, encounter processing, overpayment recovery, subrogation, capitation, customer service and contact management, fulfillment, premium billing, management and operational reporting, electronic data interchange and more. About Community Care Community Care began in 1977 when founder Kirby Shoaf created an organization to design, develop and operate a comprehensive, coordinated system of in-home, community-based services for the functionally disabled and the frail elderly. Community Care’s Programs are designed to provide quality care and enhanced opportunity for quality of life to eligible seniors and disabled adults while preserving their dignity and autonomy. To learn more visit http://www.communitycareinc.org About RAM Technologies, Inc. RAM Technologies is a leading provider of enterprise software for the healthcare industry. For over 32 years RAM Technologies has led the way in the creation of superior claims processing software for health plans serving Medicaid, Medicare and PACE Programs. People should purchase life insurance if they have dependents as a policy can provide essential financial protection. A life insurance plan guarantees a death benefit which will be paid if and after the insured dies. Life insurance is designed to protect families in case the breadwinners die suddenly or from a disease. The death of a spouse can leave the other family members in a difficult financial situation. A life insurance plan can also be used to cover important last expenses like funeral taxes and mortgage loans. Some of the best life insurance plans for families have cheap premiums, but offer high coverage values. This type of plans are: term, whole or universal life insurance. Some insurance providers can sell life insurance without medical examinations. This is an advantageous policy for those who want to get life insurance fast and without taking medical examination. “Buyers visiting our website can access the complete inventory of used replacement engines online by utilizing the inventory research tools provided,” said a source at the AutoProsUSA.com company. The Ecoboost engines are one part of the discount price structures now enabled for all U.S. buyers. A recent reduction to the sale price of the 5.4L Triton engines was announced to benefit V8 engine buyers. These discounts combined are two ways now used to increase the amount of company sales processed this year. “The Ford Motor Company inventory of engines, transmissions and replacement parts that we’ve added in 2013 is scheduled for continued expansion in the coming year to build up a more productive inventory for secondary parts buyers,” the source included. The AutoProsUSA.com company website features online contact systems for customer feedback and a toll-free number now used for all customer service information. These latest additions are responsible for helping to build a better customer service center for users of the company website when researching auto parts for sale on the Internet. 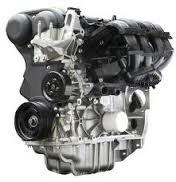 About AutoProsUSA.com The AutoProsUSA.com company offers used automotive engines and other parts that buyers are unable to find using local distributors in North America. Naples, Florida (PRWEB) December 19, 2013 The holidays are here and while Florida residents may still be wearing shorts and flip-flops, Gulf Coast Educators Insurance in Naples, Port Charlotte and Ft. Myers Florida announces their winter home maintenance guidelines. “The cooler temperatures in December make it ideal for taking care of home maintenance tasks that may have been ignored all year long,” says Ron DeFreitas owner/operator of Gulf Coast Educators Insurance. DeFreitas adds, “Proper home maintenance is important to keep Florida homes operating efficiently and helping homeowners lower the risk of property insurance claims.“ The insurance agents at Gulf Coast Educators Insurance offer the following home maintenance tips to help prepare home owners for the winter season. Gulf Coast Educators Insurance offers the following tips for homeowners to reduce the likelihood of incurring a homeowners insurance claim : 1) Test Fire Alarms and replace batteries as needed. During winter, homeowners use the fireplace and candles more often. Carbon Monoxide Detector batteries should be checked too. 2) Get furnace inspected by a professional. A professional inspector should do a furnace maintenance check every two years. The American Association for Long Term Care Insurance announced that Transamerica’s Long Term Care Division will be a platinum level sponsor for the 2014 National Long Term Care Solutions Sales Summit. PRLog (Press Release) – Nov. 27, 2013 – LOS ANGELES, Calif. — Los Angeles; TBD, 2013 – The American Association for Long Term Care Insurance (AALTCI) announces that Transamerica Life Insurance Company’s Long Term Care division has signed on as a sponsor of the 2014 National Long-Term Care Solutions Sales Summit. The conference takes place May 18-20, 2014 in Kansas City, MO. The 2014 conference, the Association’s 11th national event, will focus on both traditional long-term care insurance as well as hybrid or combo-LTC products. “For the first time, select sessions from the conference, including the LTC CEO Forum, will be streamed live online with free access for insurance agents,” Slome adds. 2014summit or by calling 818-597-3227.